The US Federal Aviation Authority (FAA) has reviewed its flight ban over Libyan airspace by permitting US carriers to fly over Libyan airspace above 300 metres. The ban still stands below 300 metres. Announcing its Amendment of the Prohibition Against Certain Flights in the Tripoli Flight Information Region (FIR) (HLLL) last Tuesday, the FAA said that ‘‘this action extends, with modifications to reflect changed conditions in Libya, the Special Federal Aviation Regulation (SFAR) prohibiting certain flight operations in the Tripoli Flight Information Region (FIR) (HLLL) by all: United States (U.S.) air carriers; U.S. commercial operators; persons exercising the privileges of an airman certificate issued by the FAA, and operators of U.S.-registered civil aircraft’’. It said that this action ‘‘extends the prohibition of U.S. civil flight operations in the Tripoli FIR (HLLL) at altitudes below Flight Level (FL) 300 to safeguard against continuing hazards to U.S. civil aviation. However, this action also reduces the scope of the prohibition, permitting U.S. civil aviation overflights of the Tripoli FIR (HLLL) at altitudes at and above FL300 to resume, due to the reduced risk to U.S. civil aviation operations at those altitudes’’. 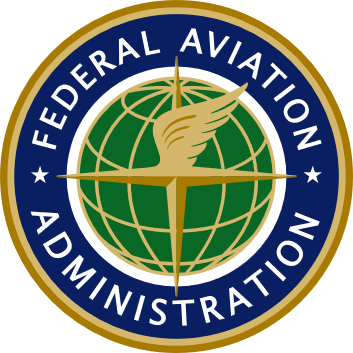 Justifying its 300 metre ruling, the FAA said that it had ‘‘identified an ongoing need to maintain the flight prohibition for U.S. civil aviation operations at altitudes below FL300 in the Tripoli FIR (HLLL) due to continued safety-of-flight hazards associated with ongoing political instability, fighting involving various militia/extremist/militant elements, and military activity by foreign sponsors supporting various elements operating in Libya. As a result of safety and national security concerns regarding flight operations over Libya, the FAA had issued SFAR No. 112, § 91.1603, in March 2011, prohibiting all: U.S-associated air carriers from flying over Libyan airspace and into the country’s airports. However, despite the UN Security Council lifting its 2011 flight ban, the US maintained its own ban throughout this period. The FAA decided to review its previous ruling last week which would have expired on 20 March 2019. On Libya’s political split, the FAA noted that ‘‘Currently, there are two air navigation service providers (ANSPs) operating in the Tripoli FIR (HLLL). The Tripoli-based ANSP is recognized by the International Civil Aviation Organization (ICAO) and has issued an Aeronautical Information Publication (AIP) and a NOTAM containing overflight procedures for civil aviation operations in the Tripoli FIR (HLLL). The ANSP in Benghazi provides air navigation services in the eastern part of the country’’. It added that ‘‘Despite the fact that there are two ANSPs operating in the Tripoli FIR (HLLL), the FAA has determined that this situation poses a minimal safety risk to U.S. civil overflight operations. There are appropriately publicized overflight instructions in the AIP and NOTAM. Additionally, the FAA has not received any reports of the two ANSPs providing conflicting guidance to civil aircraft or otherwise behaving in ways that would pose safety of flight concerns for international overflights’’. For these reasons, the FAA said that it has determined that ‘‘the risk to U.S. civil aviation in the Tripoli FIR (HLLL) has been sufficiently reduced to permit U.S. civil aviation operations at or above FL300. This change allows U.S. operators the option of using certain air routes connecting Europe with central Africa and western Africa with the Middle East’’. The decision by the FAA is welcomed news for Libya and its western and eastern governments who are keen to return the country to normality. It also sends a signal that security is improving sufficiently enough to assure the FAA into relaxing its flight prohibition over Libyan airspace.